We’ve recently been experiencing fabulous weather in the uk. The kind of weather that inspires outdoor parties, picnics and gatherings at the park. 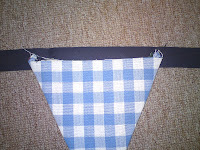 Bunting has received something of a resurgence in popularity and it always makes such a welcoming summery sight. But rather than plumping for the easily ripped paper type how about making your own fabric version! It’s remarkably simple and is a wonderful reason to use up all those fabric scraps that creative people tend to accumulate. 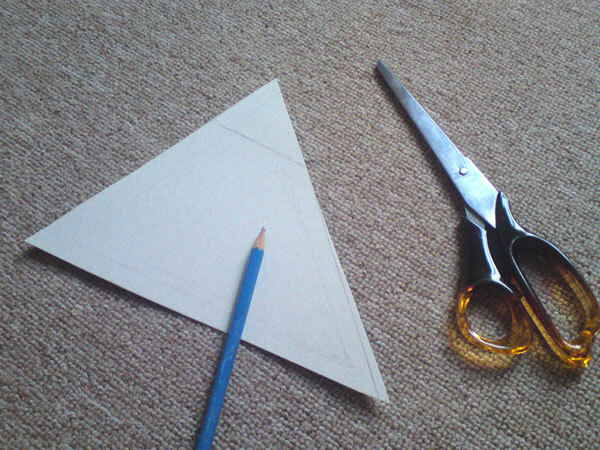 Draw a triangle on a piece of cupboard, I used an old cereal box for this. Cut it out and ta-da you have your template! Remember to leave a border of about 1 1/2cm to be your seam allowance. Take all your fabric and draw around your template using either a pencil or tailors chalk. If your wondering on numbers, I think about 6 flags per 1 1/2 metres looks good. So for this length you would need 12 triangles. Lay your bias binding flat and space your triangles along it to make sure you’ve cut enough and to choose the order of patterns. 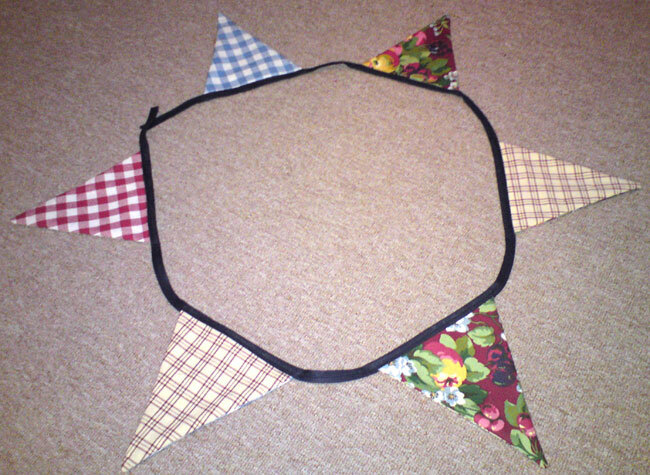 Take 2 triangles and sew them together with the right side of the fabric facing. Leave the top side of your triangle free. Trim your seam allowance if required. 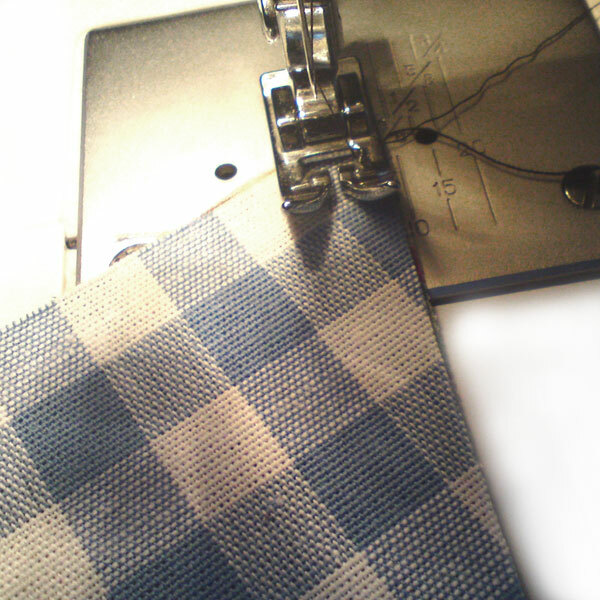 If your fabric is likely to fray edge it with a zig zag stitch. 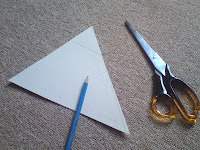 Then turn the whole triangle the right way out and press with an iron. Repeat steps 4-5 for all your triangles. I like to sew the open edge closed, but it is not essential. Lay your completed flags along the bias binding. Fold the binding in half over the top of the flags and pin or tack into position. I also press with an iron to make even easier and crisp. Sew along the binding making sure you catch the flag tops. 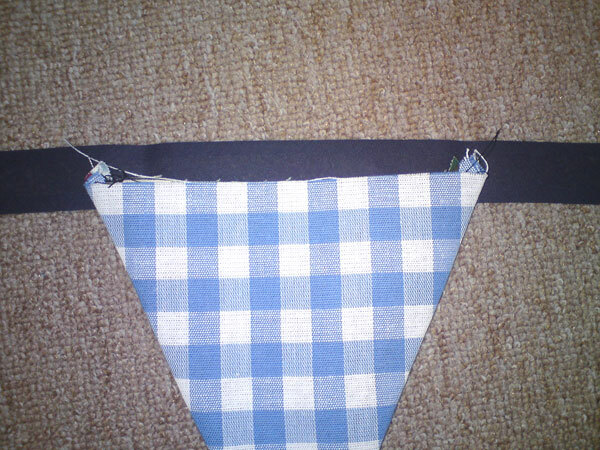 Stand back and admire your brand new summer bunting! 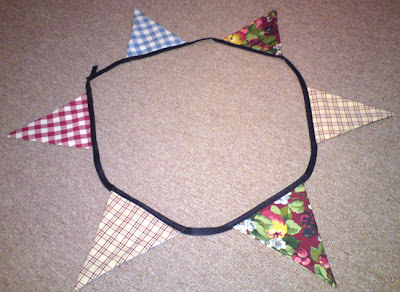 This entry was posted in Tutorials and tagged fabric, sewing, summer, tutorial. Bookmark the permalink. I never thought I would ever find a summer bunting tutorial here in the UK 😉 So, many thanks for that it is very inspring! Thanks for the comments. I've had a look at Bloglovin Backwaan and I 'think' I've added us now.